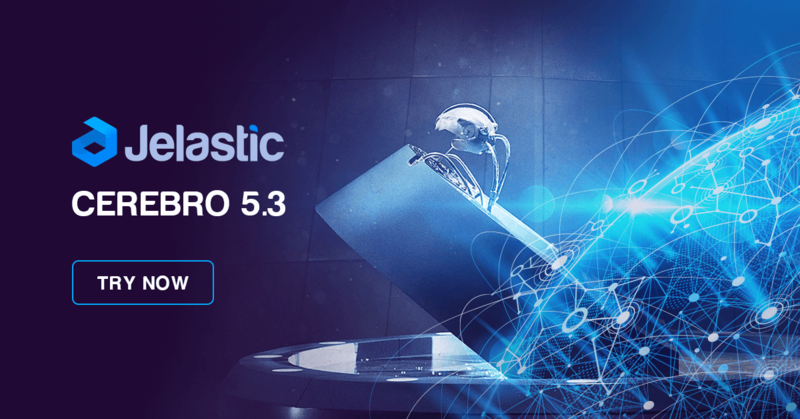 We are happy to announce the launch of Jelastic Cerebro 5.3 providing IPv6 support and the latest containerization technologies. Newest version also adds multiple address capability for a single container. Support for Public IPv6, the most recent version of Internet Protocol, was highly requested by customers to fulfill the need of more addresses, simplify processing by routers, eliminate NAT (Network Address Translation) issues and private address collisions. Currently, the 6th IP version can be used alongside IPv4, easily enabled via environment topology UI or via an API. In addition, Jelastic PaaS users can now attach multiple IP addresses (IPv6 and IPv4) to a single container, adjust their number or swap them if required. This allows even greater utility from the cloud, for example, by running several websites on a single node. “Jelastic keeps bringing improvements and flexibility to the platform. We are already using the new IPv4 and IPv6 management features from the latest release. Keep them coming!” says Richard Lingsch, President of eApps Hosting. New dockerized templates of GlassFish, Tomcat, Spring Boot, Node.js and MariaDB. “Just getting started with the new Jelastic version 5.3 we’d like to remark the transition of the platform into Docker Containers. We are incrementally adopting the use of Docker’s container technology so the approach of this new version fits very well with our strategy. And more specifically, the auto-update of dockerized stack templates is worthy of mentions. We look forward to using some other features such as optimized UX for deployment and management panels of environments or FTP access to storage container!” – declared Rubén Rivilla Aparicio, Software Architect at GMV. For additional details, please see the latest release notes. You can try Jelastic Cerebro for free at one of our hosting partners.